I think at this point in the challenge, we have a pretty clear understanding that I like cookies and I don’t really discriminate against them in anyway. There are some cookies I prefer over others – I like my cookies soft and kind of chewy, not necessarily doughy, but chewy. I like the soft sugar cookies at the store and I like fluff chocolate chip ones from from the oven. 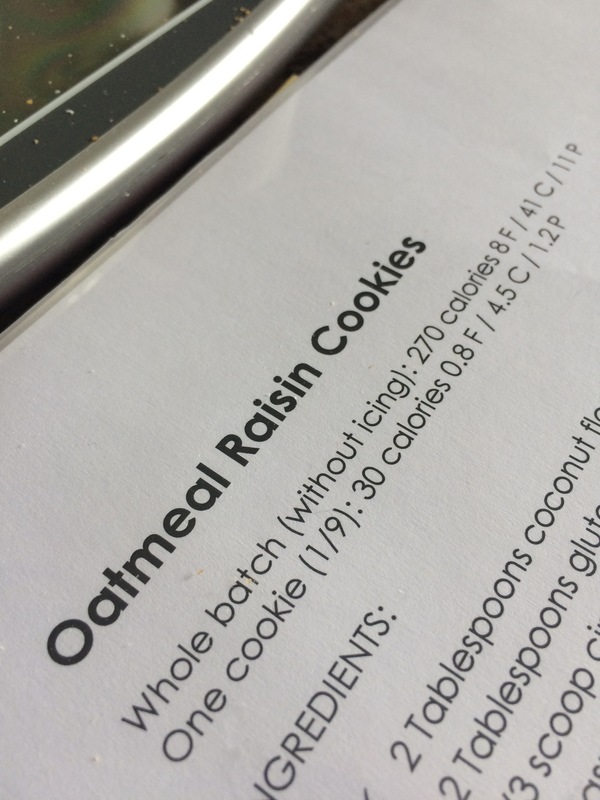 I like to rank them and make slight modifications, but I don’t think I’ve really met a cookie that I didn’t really like or wouldn’t be willing to try again. 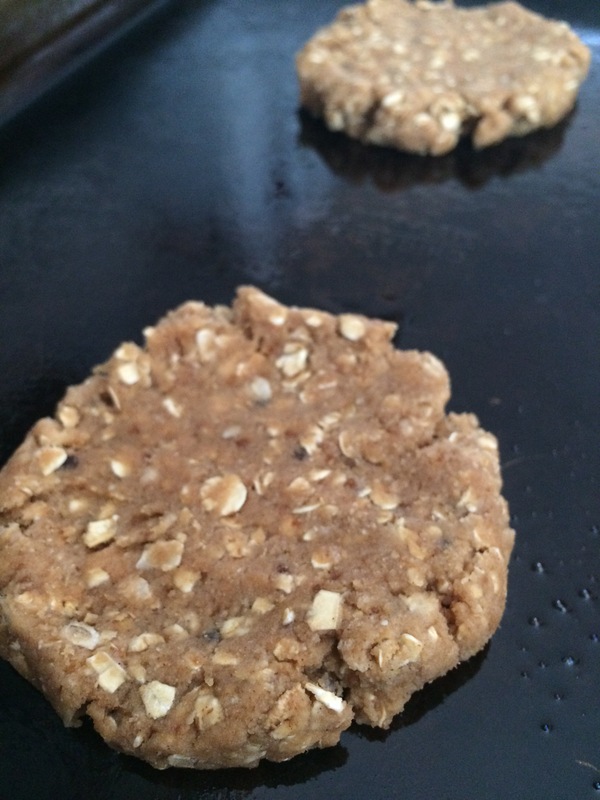 This was the fifth cookie from the Healthy Cookie Cookbook from Sarah Lynn Fitness and it fit my qualifications of a solid cookie. Going in order because when you don’t know where to start that’s a good way to stay organized, the oatmeal raisin is in the first half of the book filed under classic cookies. Just like a standard oatmeal raisin cookie this dough was sticky and cinnamon-y. Those aren’t problems, those are opportunities. Keeping with tradition, I made two large cookies and surprisingly the carbohydrates were lower than I had anticipated. Definitely a win for a girl in competition prep. When I saw coconut flour, apple sauce and oats, I was slightly concerned that they would be higher in carbs. I will admit there are a few things I adjusted in the recipe to make it fit what I had available. 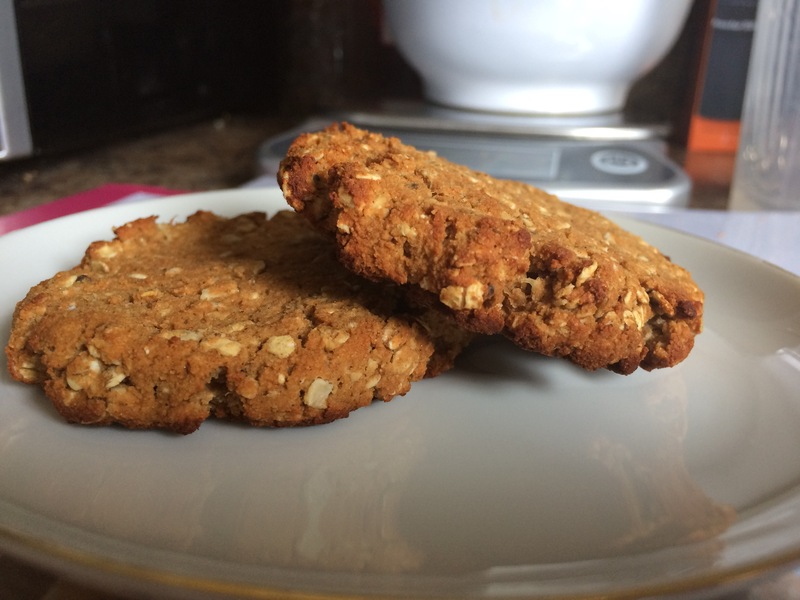 I used cashew milk instead of water, there’s such a little amount called for that I didn’t think it would truly effect the cookie nutritionally. I used pumpkin pie spice blend instead of straight cinnamon. The pie blend has cloves, ginger and nutmeg in it as well. 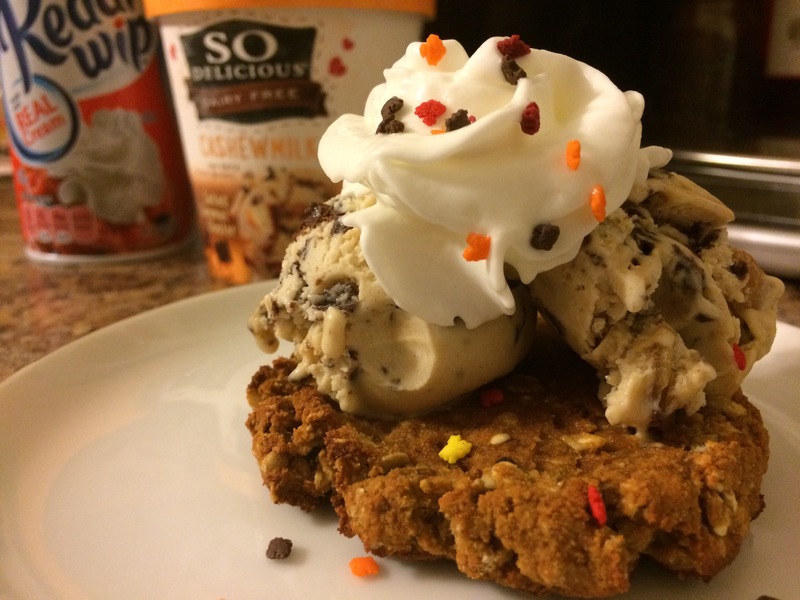 I used chocolate chip cookie dough whey instead of cinnamon swirl because of what I had on hand. The CCCD is pretty basic aside from like chocolate pieces so the flavor blended in just fine. I left out the raisins. This resulted in lower carbohydrates for the overall recipe. I don’t eat raisins regularly, so I felt like it would be fine to omit them completely. I had considered adding chocolate chips, but thought it may distract from the cinnamon-y oat-y goodness. However, since I’ve given this a try, the next time I make it there may be chocolate chips added. 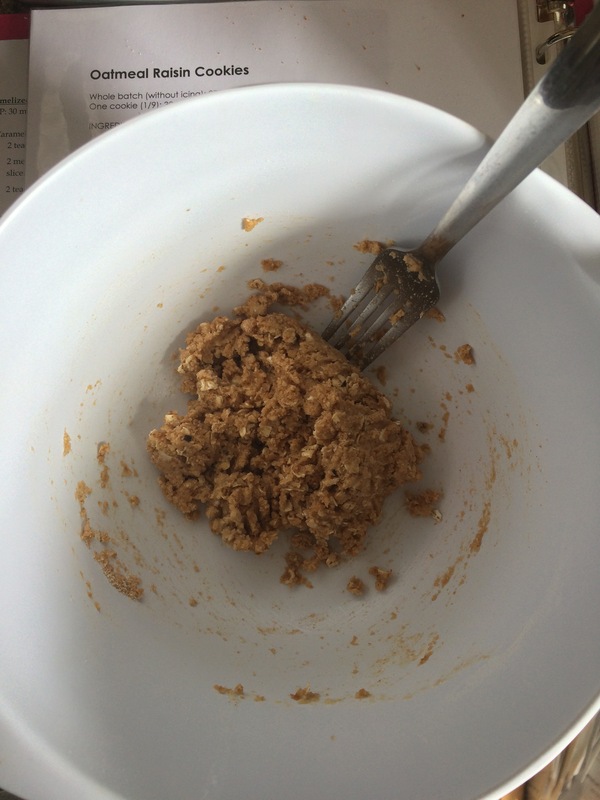 The texture is the same as a standard oatmeal cookie – soft and chewy.Crumbly in the right ways.